Our FAPI-PAD non-woven abrasive sheets are a three-dimensional abrasive made of nylon non-woven interspersed with abrasive grain. Due to the different grit sizes, it is predestined for machining almost all surfaces and guarantees a sophisticated surface finish in the machining process. Our non-woven abrasive sheets are ideally suited for the fine machining of all types of materials. 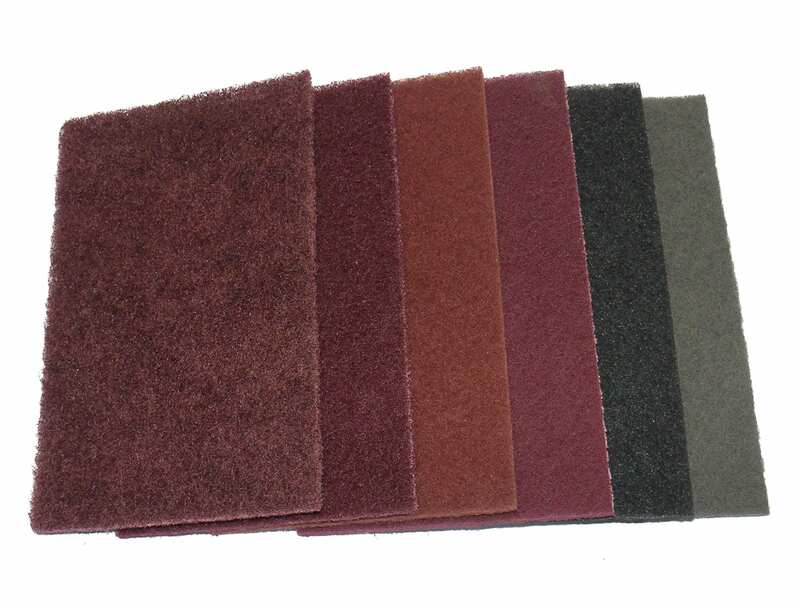 Sanding fleece sheets are mainly used in manual sanding, random or orbital sanding machines or orbital sanders. Non-woven abrasive sheets interspersed with Al2O3 are mainly used in metalworking and woodworking. Non-woven abrasive sheets interspersed with SiC are mainly used in the processing of painted surfaces and plastics. In the field of stainless steel processing, they are used when a reflective surface finish is to be achieved.